Impromptu meetings and idea sharing can happen anywhere, at any time. Business incubators need to be able to encourage that. The Incubator site is located on an urban site at the eastern edge of the city center, providing good proximity to the businesses and government entities in the city, while also allowing for high visibility and access to the public. The building design re-establishes the street edge, allows parking to be hidden behind the building, takes maximum advantage of solar orientation and allows space for future building expansion. On the exterior, a new, vertical stone plane highlights the entry with vertical lights. The program includes wet labs, dry labs and high bay space. This mix is designed to provide a variety of space types to serve potential needs of start-up companies. 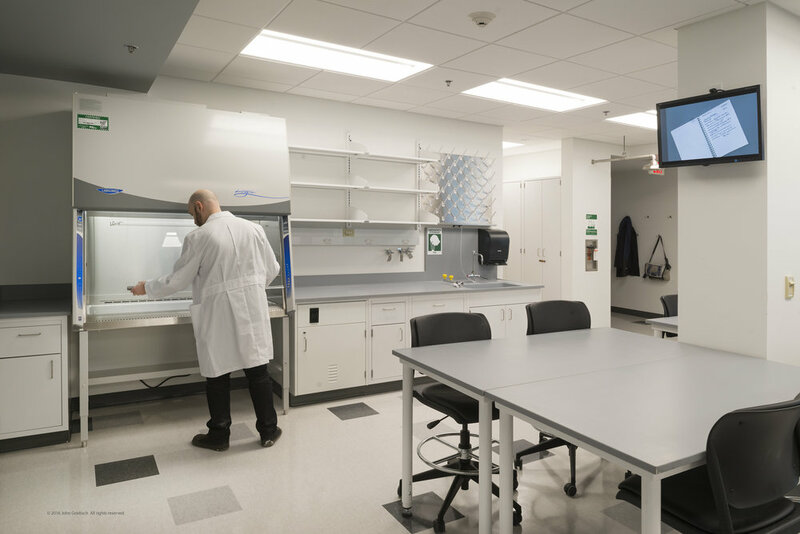 The layout of the labs allows business to expand or reduce their space size in alignment with their needs. Careful attention was paid to the distribution and design of collaboration spaces in the building to encourage interaction between tenants. A pioneering, dynamic environment, dubbed the Sandbox, is nestled into the top floor of the building. It is filled with a wide variety flexible furniture, breakout spaces, stimulating finishes, vibrant colors, and even a coffee bar, in order to facilitate innovation and idea-sharing amongst a new generation of entrepreneurs. 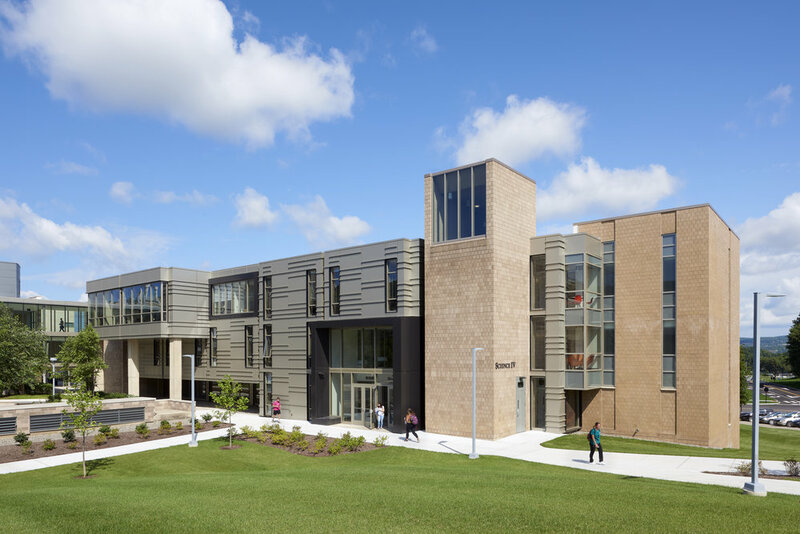 Sustainable and passive strategies employed in the development of the building exterior include optimal solar orientation, air-tight envelope, vegetated roofs, and photovoltaic arrays. Carefully designed window openings, in combination with sloped ceilings and light shelves allow much of the building to be daylit. Efficiencies employed in the building mechanical systems include geothermal well field and associated heat pump system for the building mechanical system, as well as a preheat wall spanning a large portion of the southern elevation ducted to the building distribution system. All electrical fixtures in the building will be Energy-Star compliant and utilize natural lighting and occupancy sensors to the greatest extent possible to minimize electrical loads.